Technological developments have taken the world by storm in every possible area. Training and development is one of the most prominent domains which has been positively affected by new technologies. Digitization has reshaped learning to a great extent and has revolutionized traditional learning into a much a deeper and interactive approach. According to the Docebo E-learning market trends & forecast 2014 – 2016 report, the growth of the e-learning industry has been up to 900% since the year 2000 and according to Ambient Insight 2012 – 2017 Worldwide Mobile Learning Market, 42% of companies said that e-learning has led to an increase in revenue. More studies have proved that digital learning is as effective as traditional learning. The shift from traditional to digital learning has been a significant one. Its high effectiveness through solutions such as webinars, simulations, and gamification has resulted in an increased popularity amongst global leading organizations across the globe. With various benefits in terms of accessibility, engagement and more personalized learning plans; digital learning has been a game changer to improve the bottom line of businesses. 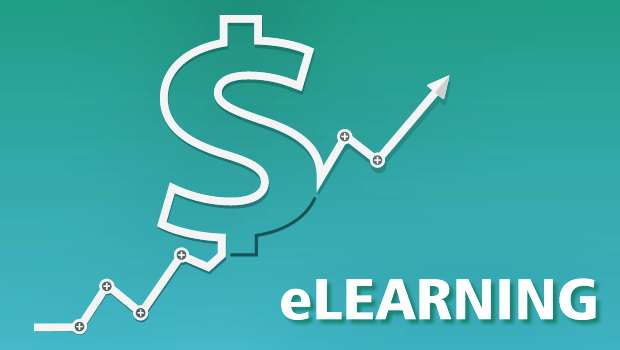 The most recent e-learning market trends and forecasts 2017 – 2021 by Docebo reveals that the size of the e-learning market was estimated to be over USD 165 Billion in 2015 and is likely to grow by 5% between 2016 and 2023, exceeding USD 240 Billion. Digital learning solutions have gained increased popularity and have proved to be an effective way for global organizations to train all their staffs. Studies revealed that employees trained through e-learning materials have improved business efficiency and productivity by 50%. It has been noted that more than 41.7% of global fortune companies already use some form of technology to train their employees. According to various researches, this number is likely to grow exponentially in the years to come. The explosive rise of e-learning is likely to continue as more and more companies have recognized its advantages in terms of pragmatism, flexibility and accessibility. Employees can easily accommodate their training without missing out on the working hours. They have the ability to access their courses anywhere anytime, without the inconvenience of travelling which cuts down expenses. Besides, employees can easily track their performance and improve in areas where they lack competences. The highly engaging e-learning solutions such as webinars, simulations and gamifications ensure that employees complete their training and gain the necessary knowledge and skills which they can directly apply to their job. USA – Digital learning has been gaining traction over the last few years and has spread widely across the globe. 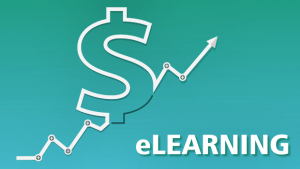 According to the Docebo e-learning market trends and forecast 2017 – 2021, the U.S. eLearning market is likely to be valued at over USD 27 billion by the end of 2016; this is primarily due to the fact that eLearning have significantly expanded across the region in recent years. Users have developed an appreciation for the ease of access and improved effectiveness of new, animated, engaging and interactive learning tools. Besides, as the use of online and mobile devices becomes increasingly prevalent, the eLearning market is expected to grow significantly over the next years. The US presently represents the leader in the adoption of eLearning technologies and services. Europe – According to Ambient Insight, the self-paced eLearning market size in Western Europe eLearning market is around USD 8billion in 2016, while Eastern Europe market is around $1billion. The growth in that region can be subjected to increasing adoption of these solutions in medium and small sized businesses. The largest buying country in Eastern Europe is the Russian Federation. The UK is the largest buying country in Western Europe. Asia – According to the Ambient Insight Report (2012 – 2017), the growing e-learning industry in Asia is likely to reach $12 billion dollar in 2018. Labeled as the second-highest (next to North America) self-paced e-learning market, countries such as Myanmar, Thailand and Malaysia have a continuous growth rate while China and India are expected to see explosive growth, over 50 percent, leading all nations. Experts speculate that one reason for these skyrocketing numbers is the widespread government initiatives to boost literacy in rural areas throughout the region. 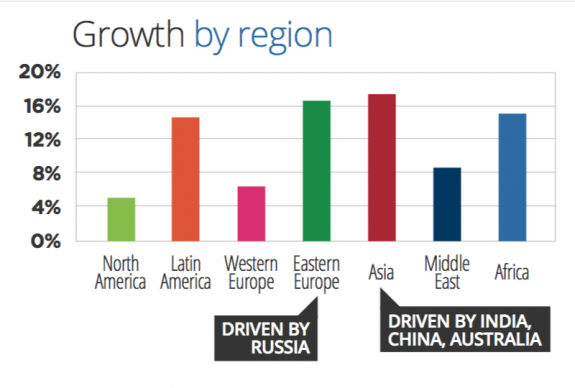 What explains this huge growth in the e-learning industry? The emergence of technological advances has been the main driving factor which contributed to the unprecedented boom in the e-learning industry. Online training providers have been adopting more innovative e-learning solutions such as webinars, simulations and gamifications to train staffs in such a way that they can apply their knowledge and skills directly to their respective jobs. An increasing number of companies have realized the importance and effectiveness of these solutions in terms of practicality, high engagement, employee retention and flexibility. In this way, more organizations are allocating a significant budget to train their employees with the expectation to generate return on investment in terms of productivity and profitability. According to Brandon Hall Group, L&D leaders will allocate future budgets to stay in line with company growth goals. In the upcoming years, they are expected to consult more and more C-level executives to ensure their learning strategies are aligned with future business objectives. 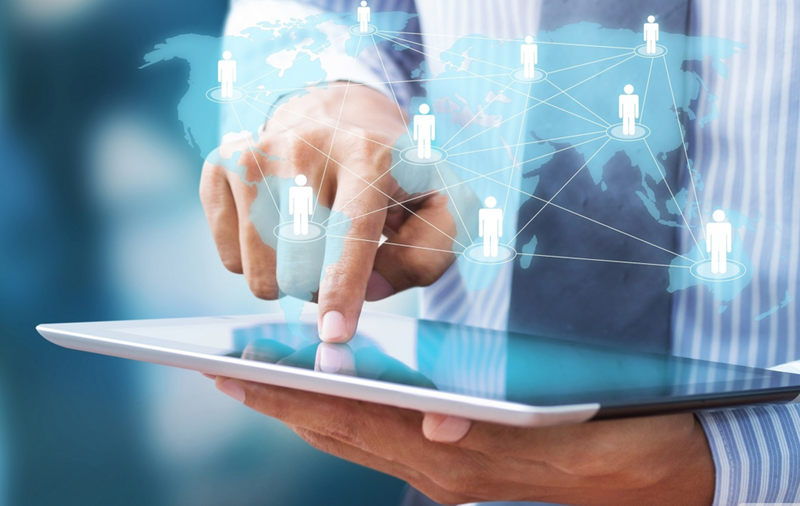 Shaped by technological advances, the e-learning solutions have proved to be more convenient and effective for global organizations to train their globally dispersed employees. As highlighted by several researches, the consistent rise is likely to reach significant heights in the years to come.